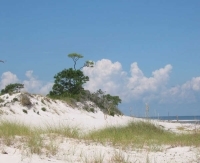 Pensacola caters for a more sedate market: those who appreciate excellent seafood, miles of deserted beach, spectacular views, scuba diving on shipwrecks, and exploring the local historic sites. 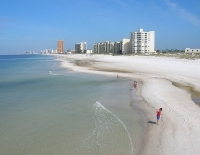 50-odd miles (80km) of white sandy beach should be enough to draw sun-seekers to holiday in Pensacola, but this Florida city contains much more than natural attractions and historic sites. The city is home to the US Navy's Blue Angels flight squad, and is renowned for the spectacular air displays that attract hundreds of spectators to Pensacola. The National Museum of Naval Aviation also holds a number of other interesting military craft and exhibitions. 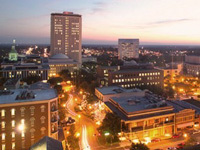 Pensacola is also celebrated for its location: Tallahassee and Panama City are close by and Amelia Island, Santa Rosa Island, and the Gulf Islands National Seashore offer many diversions for visitors, making the city a great travel base for those wanting to explore the surrounding coastline and islands.